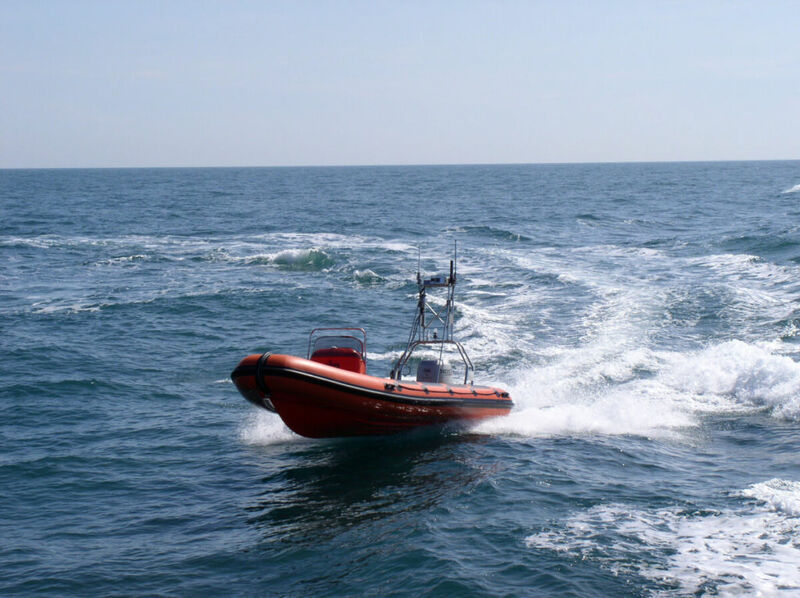 Autopilots and remote control systems for high speed and highly maneuverable RHIBS can be ideal platforms for specific missions. Working with our partners, it is possible to retrofit a vehicle control system to an existing boat. We can expand its capabilities to make it completely unmanned or a partially assisted boat, allowing the crew of focus on their mission. Vehicle navigation and propulsion control utilising SPECTRE technology, increase the boats endurance and reduces user fatigue. In an unmanned configuration, it can be controlled via a UHF-connected wireless joystick, an intermediate frequency UHF modem at ranges up to 20 nautical miles (line of sight), and/or Iridium satellite for over-the-horizon communications and control. Your payload requirement can be rapidly integrated to our established electronics which helps reduce the time to launch. We can also offer our pioneering collision avoidance module which interfaces to the sensor of your choice, which allows for maximum flexibility, safety and reliability. The applications shown here are a target-towing RHIB (RIB) operated by QinetiQ, and a surveillance RHIB operated by NURC. To facilitate the operation of unmanned vehicles, SPECTRE processor has the ability to communicate, using a remote control protocol, across a radio link or other remote signalling system. The SPECTRE system provides the additional circuitry for controlling the hydraulic steering pumps and electronic throttle, as well as the navigational sensor suite and the ignition and starter circuitry. Remote control of additional channels, for example cameras, is provided. Safety cut-outs and fail-safe operation are included. Typical applications are vehicles up to 15 m in length, at speeds ranging from less than 1 knot to over 50 knots. Performance is limited primarily by the ability of the vehicle’s own navigational sensors to operate correctly at high speeds, and the performance of the vehicle itself. Typical installation for these vehicles: Spectre Autopilot, UHF and Joystick receiver; optional modules include Power Management modules, Iridium Rudics Modem, Data Logger.